Free Printable Carcasonne. 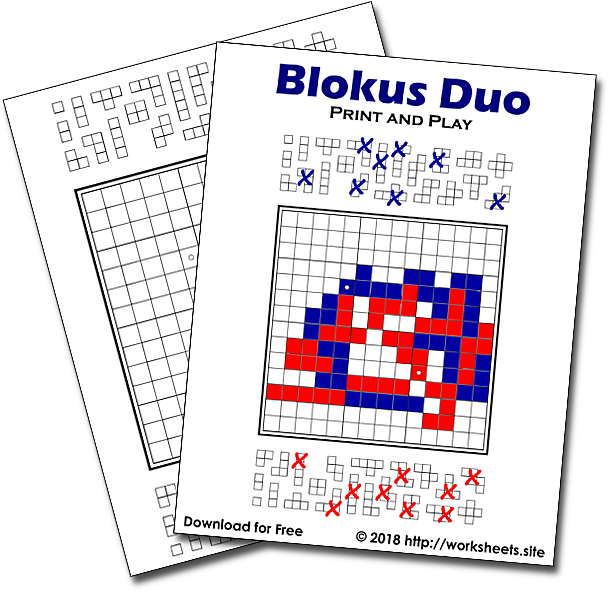 Free printable boardgames for children. Print and Play Carcassonne. Strategic drawing and coloring game. Travel Carcassonne. Pen and Paper Carcassonne. 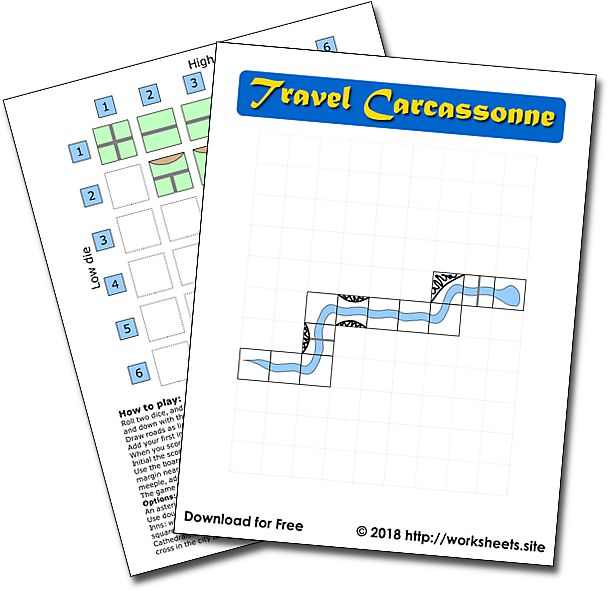 Download and print the Travel Carcassonne boardgame. If you don't want to go through the hassle of finding and buying the board and you have a color printer, simply download this PDF and print it. You'll get a neat mini game in an instant. Roll two dice, and use the appropriate tile given by counting across with the higher die and down with the lower. You may rotate (but not reflect) the tiles as required. Draw roads as lines, cities as shaded, monasteries as squares. Add your first initial or symbol to represent a Meeple. When you score a region, cross out the Meeple. Initial the score track to keep your score. Use the board margins to track your used Meeples. You start with 7: Write 7x “m” in the margin nearest you. When you use a meeple, cross out the leftmost. When you retrieve a meeple, add another one on the right. The game is over when the board is full, or when a round passes without a playable tile. An asterisk in a town counts as a shield (pennant). Use double initial for big Meeple. Use circled initial to represent builder or pig. when you get a road with no junction, roll a die. On a 6 there is an inn. Draw a square touching the road to mark this. when you roll double-6, roll another die. On 4-6 this is a cathedral. Draw a cross in the city to mark this.